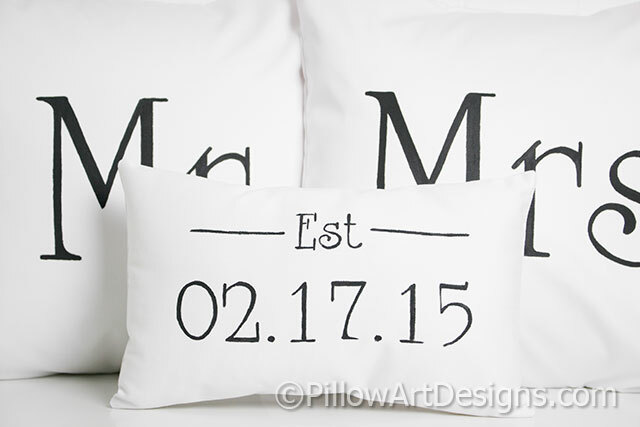 Set of Mr and Mrs pillows including a mini pillow with Est and date. 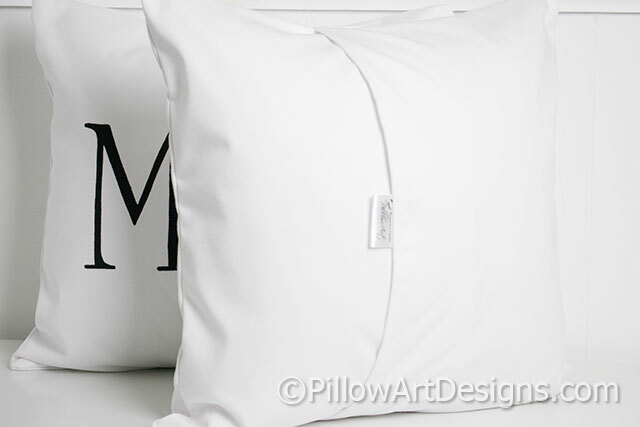 Mini pillow measures 12 inches X 8 inches (approx) and comes stuffed with hi loft polyester fiberfill, no need for an insert. 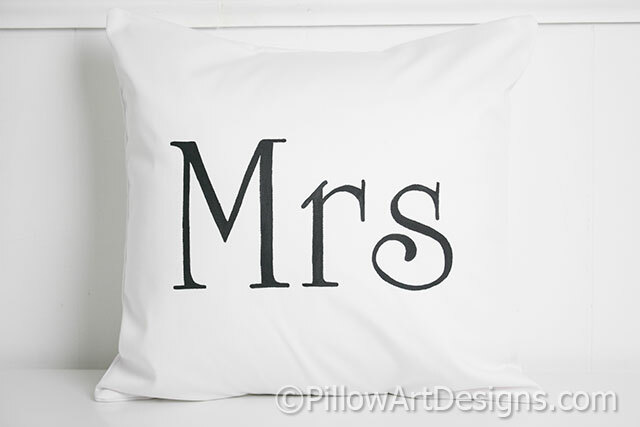 Pillow covers and mini pillow fully lined with white cotton polyester. Hand painted with non toxic fabric paint. This set shown in black, other colours are available, contact me here with your preference. For the very best results, spot clean or hand wash in cold water, lay flat to dry. 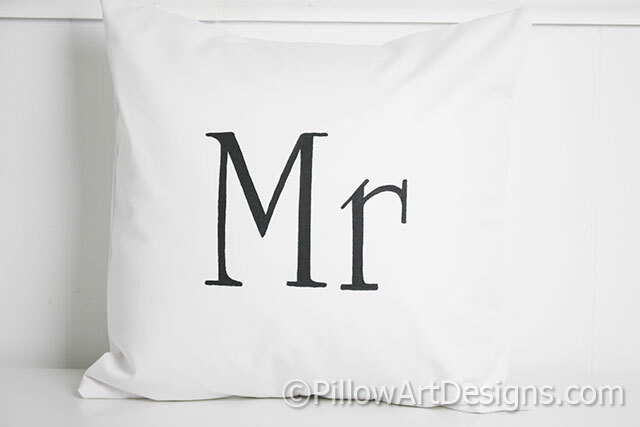 To order, simply purchase this listing and contact me here with the date for the front of the mini pillow and confirm paint colour. Handmade in Canada by me, in my smoke free and pet free home studio.